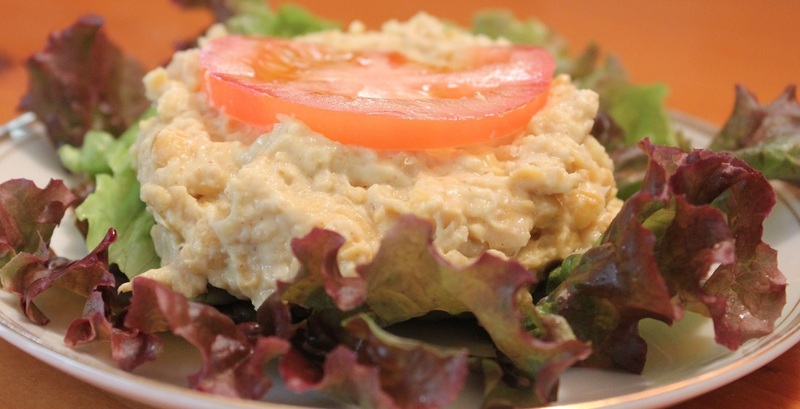 Chickpeas (garbanzo beans) make a perfect substitute for tuna or chicken salad. In a small bowl combine mashed chickpeas, mayonnaise, yogurt, mustard and ginger. Arrange lettuce on plates, place 1/2 of chickpea mixture on lettuce leaves and top with tomato slices. You can substitute dry beans for the canned beans using one of these methods here.